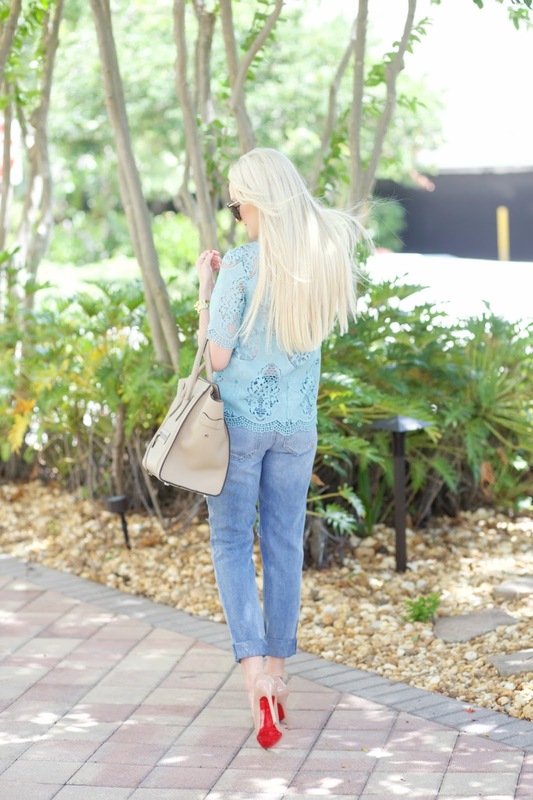 Lace, Pearls and boyfriend jeans is just one of my all time favorite combinations. I could wear this outfit everyday. These boyfriend jeans are my favorite. I can't seem to stop wearing them. Thank you so much for reaching! I hope you all have a great weekend. Oooh I love your style! Pastels suit you perfectly! I like your top and shoes very much. I love that top! It looks so pretty on you! That jeans are amazing! I love them!! I love this top! Great color. Love the color of your blouse! I need a pair of boyfriend jeans like these!